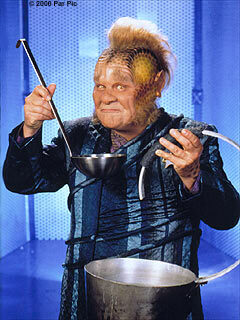 Neelix was the first Delta Quadrant alien that the crew of Voyager met. He is Talaxian and was raised on Talax's moon, Rinax. The moon was destroyed and his family killed. He met Captain Janeway and offered himself as a guide to aide her through unfamiliar space. He has become Voyager's head chef and self-appointed moral officer. He has developed a close relationship with many members of they crew and they have learned to rely on him. He misses his family deeply, but has come to think of the crew as his new family. Not long after being stranded in the Delta Quadrant, Ensign Samantha Wildman learned that she was expecting a baby. Naomi Wildman was the first baby born on board Voyager and is adored by the entire crew. 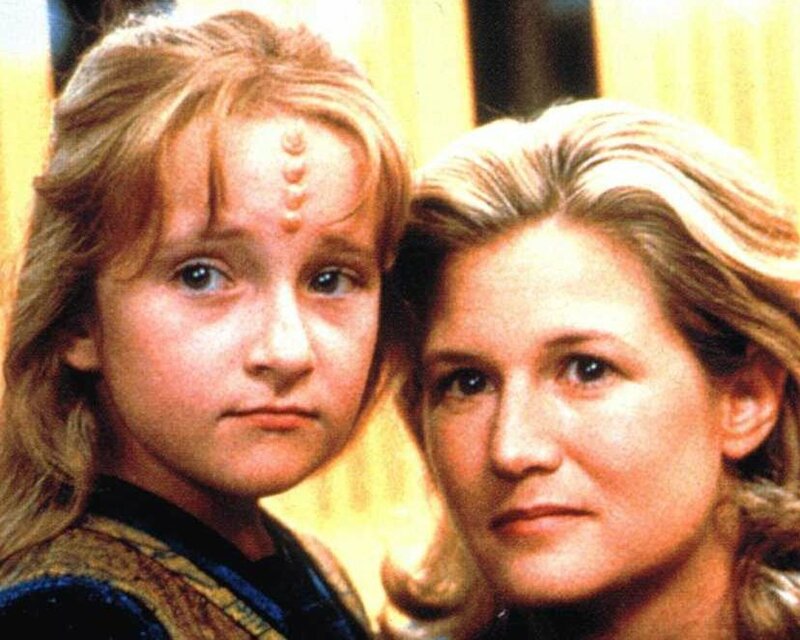 Samantha never expected to be raising a child on her own, and certainly not on a starship decades away from home. However, she and little Naomi have many friends to help them on their way. Captain Janeway has taken Naomi under her wing, and she carries the title of Captain's Assistant, which she takes quite seriously.